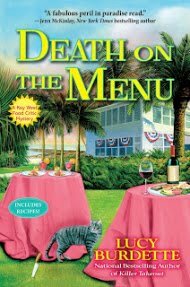 Mystery Lovers' Kitchen: Welcome Guest Blogger, Barb Goffman! 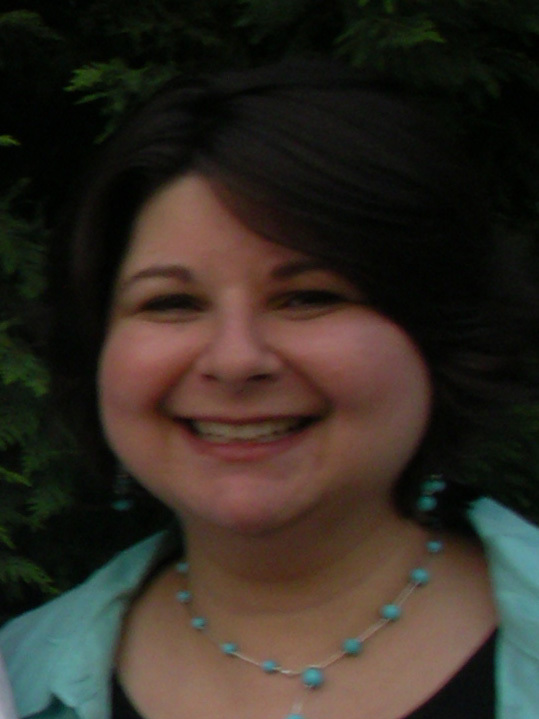 Welcome Guest Blogger, Barb Goffman! We here at Mystery Lovers' Kitchen have been fortunate to host Barb once before. Today she brings us entertainment in the form of fun Thanksgiving stories as well as a fabulous mushroom gravy recipe. With 11 days remaining until Thanksgiving, you may be a little stressed. The family’s coming! You have to clean the house. Buy all the food. Cook all the food! (Or maybe you’re going to a certain relative’s home where you fear you’ll have to eat all the food.) It’s enough to make you crawl into bed, pull the covers over your head, and wait for December. But since that’s not a viable option (it’s not, right? 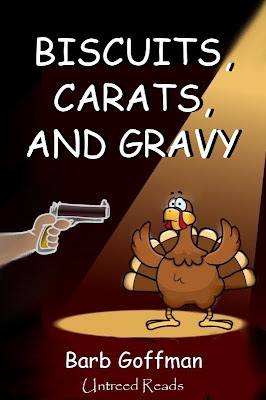 ), I have an alternate solution: Read some funny mystery stories involving Thanksgiving foods. There’s nothing like a good laugh to help you relax and cope, especially when the laughs come from stories about fictional characters suffering through far worse Thanksgivings than you ever have (I hope). This anthology can be downloaded onto any e-reader, as well as as a PDF onto any computer. You also can buy any of the stories individually if you don’t want to buy the whole book. You should be able to find it at all the online bookstores, as well as from the publisher, http://www.untreedreads.com, through its online store. In just a few minutes, you can be reading and laughing and forgetting all about the fact that your family is coming! In eleven days! Ahhhh! Do you have any Thanksgiving horror stories you’d care to share? Please do. Remember, we’re all in this together! As I prepared to write this post, I reached out to friends, asking for a gravy recipe. My story focuses on awful gravy, so I felt it important to provide a recipe for fabulous gravy. Most of my friends said that there is no recipe for gravy; you just make it from the turkey juices. Not very helpful. Thankfully my friend Elizabeth Amore-Yingling came through. She has her own gravy recipe, and we’re both happy to share it with you. Happy Thanksgiving! Melt butter in large saucepan over medium heat. Add shallots and sauté until soft, about one minute (do not brown). Add mushrooms and sauté (stir frequently) until mushrooms soften, about 5 minutes. Add the remaining 2-½ cups of stock to the mushrooms in the pan and bring it to a simmer. Wisk in the flour/stock mixture and simmer until the gravy thickens (about 3-5 minutes). Add salt (approximately ¼ tsp. ), dried thyme leaves and a pinch of white pepper to taste. Keep warm until ready to serve. 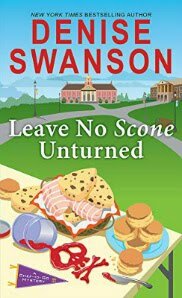 Barb Goffman is a two-time Agatha Award nominee for “The Worst Noel” from The Gift of Murder and “Murder at Sleuthfest” from Chesapeake Crimes II. Barb’s stories also have appeared in The Killer Wore Cranberry, Murder to Mil-Spec, the Deadly Ink 2010 Short Story Collection, Chesapeake Crimes: They Had It Comin’, and Chesapeake Crimes 3. A slightly altered version of her story “Volunteer of the Year” will be re-printed this winter in Magnolia Blossoms and Afternoon Tales. Barb is program chair of the Malice Domestic mystery convention, serves on the national board of Sisters in Crime, is a past president of the Chesapeake Chapter of Sisters in Crime, and is a coordinating editor of Chesapeake Crimes: This Job is Murder, due out in 2012. Learn more at http://www.barbgoffman.com. Barb-I'm so glad you wrote a story so that everyone finally could refer to a recipe for gravy! It would have eliminated a painful incident in my life. A "friend" invited me to dinner. I was a fifth wheel and a square peg in a round hole. The reason for my inclusion was answered when the hostess announced that it was time to make gravy and would I please come into the kitchen and make it. How lovely! I dropped her as a friend. Now, she can learn how to make her own gravy. Thanks for your help. Good luck with the anthology. I plan on downloading the pdf file. Barb is my hero because she found my missing purse at Malice! Many thanks to Barb!! The mushroom gravy sounds delicious, plus quick and simple. Can't wait to try it. Oh, I already love Dotty! 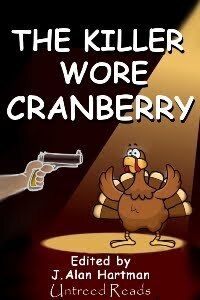 THE KILLER WORE CRANBERRY sounds like the perfect read for Thanksgiving weekend, and I'm looking forward to reading your story especially. Thanks for letting us know about the e-book and thanks also for that foolproof gravy recipe. (I do loves me my baby bellas.) Great to see you in the *Kitchen* again, Barb. I hope you'll come back again. Love, love, love mushrooms! Thanks for the gravy recipe. I must admit that I've never been able to make good gravy, but I'm going to give your recipe a try. It sounds wonderful! Alan, I'm actually laughing out loud here. Can I come over to your house and watch you drink the gravy? Please?! Cleo and E.B., I hope you enjoy my story and the book as a whole. Thanksgiving can be stressful, so it's really nice that Untreed Reads is providing this low-cost way to get a good laugh. And also, E.B., that's just terrible what your "friend" did to you. I have a story along the same vein: I was invited to a friend's home for dinner, along with several other people. It was only after we all said we'd come that she announced it was pot luck and told us all what we had to bring for the meal! Now, I have nothing against pot luck, but you should tell your guest in advance. Glad to see you here Barb. Thank you for he recipe I will be sure to try this for Thanksgiving. I love mushrooms. I will be sure to check out the book. I can use a few laughs this week. Thanks for stopping by, Babs. I hope this recipe works for you, and I also hope you enjoy the book. Your website is wonderful, by the way! Happy Thanksgiving! Hi Barb! How nice to see you here again. Gotta love the turkey on the cover, and your story sounds deliciously devilish! Thanks for the gravy recipe, too. There are so many times I would like a gravy when I'm not cooking a meat that lends itself to making gravy. The recipe sounds terrific. I wonder if it wouldn't make a nice gravy for vegetarians -- all you'd have to do is use vegetable stock. I never was a gravy fan as a kid, but now I'm like Alan, though I do like a bit of mashed potato with my gravy -- I don't drink it straight! Not yet anyway . . .
Hi, Krista. Isn't that the cutest turkey ever?! The publisher did a great job with the cover of this book. And yes, it sounds like the gravy recipe could easily be changed to make it palatable for vegetarians. Good idea! I've always been a fan of gravy myself. On mashed potatoes. On the turkey itself. Maybe I'll try Alan's idea this year and just pour myself a glass of gravy. ... Or maybe not. Simple and easy. Thanks, Barb! And Happy Thanksgiving! I haven't personally had a Thanksgiving disaster, but I was at a friend's house for dinner one year and when she went to carve the turkey (in front of all the guests), she discovered she had roasted it with the bag of giblets still inside the cavity. Ew. Hi Barb! Sorry to chime in so late -- just got back from Murder and Mayhem in Muskego. Lots of fun comments here today, but of course I knew there would be. Can't wait to read your short story -- as soon as I got a look at that poor turkey I was in! Thanks for that mushroom gravy recipe. I am always on the lookout for gravy ideas and this one sounds fabulous. Most of all thanks for joining us here today! See you at Malice! Avery, thanks to you and the rest of the Mystery Lovers' Kitchen ladies (Julie, especially, for doing the uploads) for allowing me to guest blog here today. Happy Thanksgiving! Julie, yes, the turkey is too adorable. 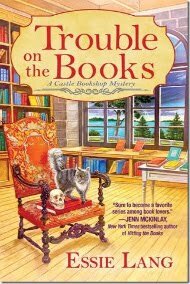 And I'm so glad you'll be coming to the Malice Domestic mystery convention this spring. YAY! (Any readers out there who want to meet Julie and many other authors, please check out Malice: www.MaliceDomestic.org. And Lina, that's the funniest thing I've heard all day. It even beats Alan's gravy drink. (Sorry, Alan.) Did any of your guests eat any part of that meal? If the stories are as good as the artwork -- and I'm sure they are -- this is a winner! Congrats on your story. Happy Thanksgiving!